Chip Morris has been with TD Bank since 2008 and currently holds the position of Senior Commercial Relationship Manager for the Palm Beaches and the Treasure Coast. He relocated from Asheville, NC in November of 2015 where he held the position of Commercial Relationship Manager and Vice President for TD Bank. 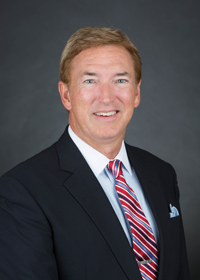 Since his arrival in South Florida, he has accepted a Trustee position for the Northern Palm Beach Chamber of Commerce, a Trustee position for the South Florida Science Center and Aquarium, a board seat for the Lighthouse of the Blind for the Palm Beaches and participated in the Leadership West Palm Beach program for 2016. Chip was born in Nashville, TN and attended Belmont University. He majored in Accounting and also earned a Master's Degree in Business Administration. Chip resides in West Palm Beach with his wife Kelly.